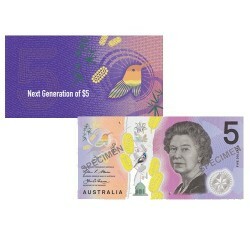 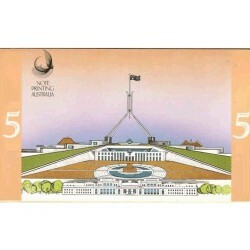 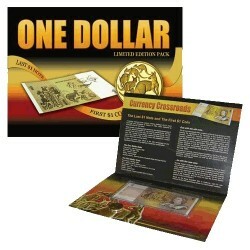 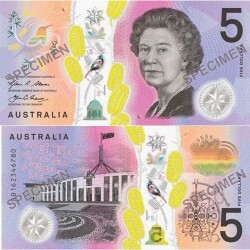 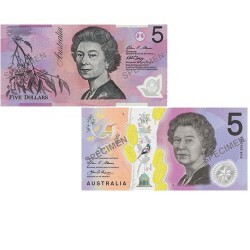 $5 Australian Decimal Banknotes There are 12 products. 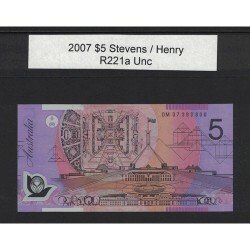 2008 $5 R221b Stevens / Henry General Prefix Uncirculated Polymer Australian Banknote. 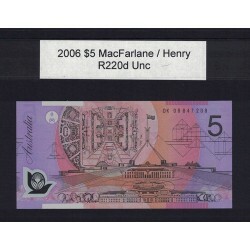 2006 $5 R220d Macfarlane / Henry General Prefix Uncirculated Polymer Australian Banknote. 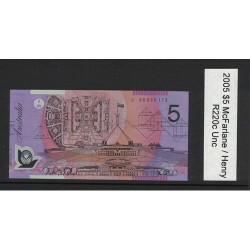 2005 $5 R220c Macfarlane / Henry General Prefix Uncirculated Polymer Australian Banknote. 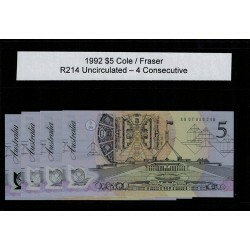 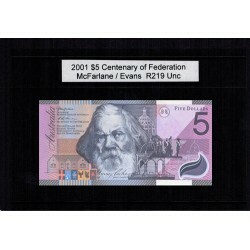 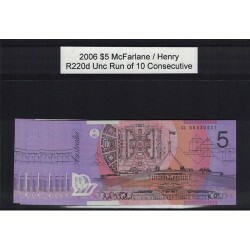 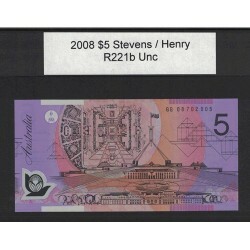 2006 $5 R220d McFarlane / Henry General Prefix Consecutive Run of 10 Uncirculated Polymer Australian Banknotes.